Short but sweet trip to the south. 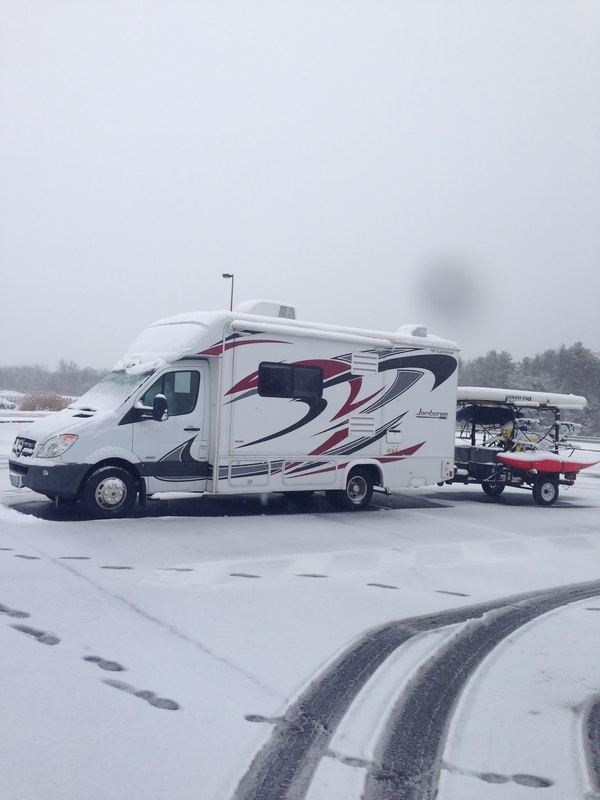 We love being in Vermont in the winter but when March gets close we are ready to skedaddle for some warmer weather. Don’t get me wrong, I love winter. I love how beautiful everything is covered in snow and I love winter activities. I love being on my snowboard and on my cross country skis and just enjoying what winter has to offer. Of course, I miss paddling, fishing and just about anything else you can do in the water but it’s nice to put that equipment away and get out the winter gear. I’ll be honest as I’ve gotten older and have been paddling for almost 17 years I’ve noticed that paddling does not rule my life as much as it did. I still paddle a lot in the spring, summer and fall but there are days when I can paddle but I do something else instead. I still love paddling and it’s by far my most favorite thing to do but I’m pretty happy with the new approach that I’ve been taking. Anyway, after another winter working at the nordic center and Jeff playing music in the valley we went on a three week long trip to North Carolina and Tennessee. We went on this trip because I wanted to take the International Canoe Federation (ICF) judge training that was being held at Rock Island, TN. I also helped judge US Freestyle Team Trials. I didn’t compete in the event because I’m not competing as much and I new if I made the US Team I wouldn’t go and compete at the World Championships in Spain. It was great to catch up with friends and paddle with them. We had a great couple weeks in the southeast. It was not as warm as we would of liked but it was a lot warmer than home in VT. 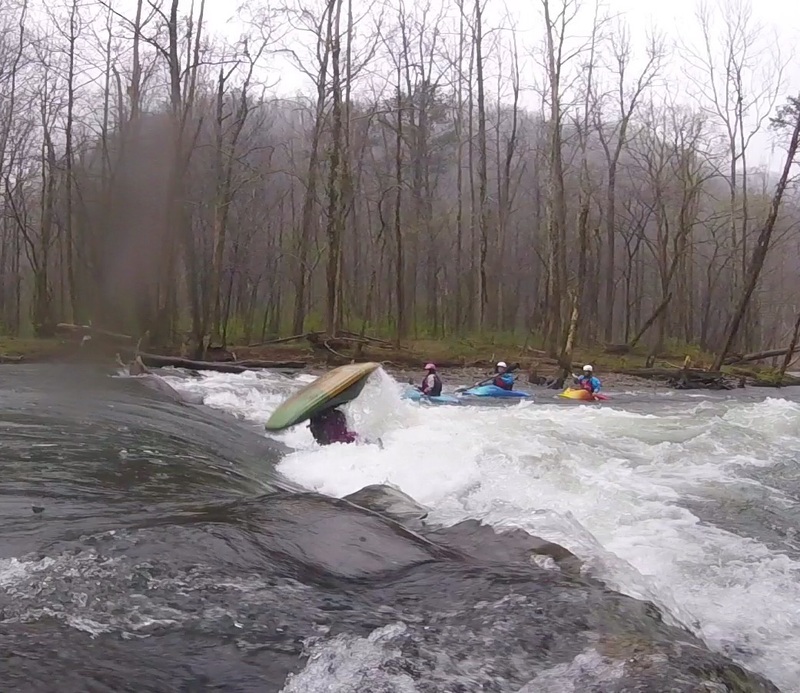 I got a bunch of days in freestyle kayaking at NOC in NC and at the Pigeon Hole in TN. It felt great to be back in a boat again. 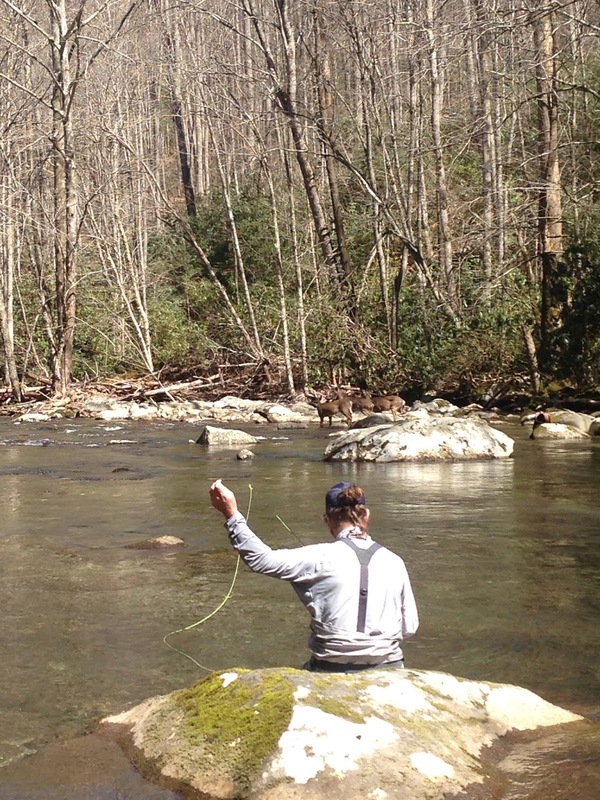 The highlight of our trip was spending a few day in the Great Smoky National Park fly fishing. It was such a neat place. We hiked up the Little River for some fly fishing during our stay. I got to tell you, hiking is hard when you are wearing waders and wading boots. I had chin splints for days after that! We both caught some trout. I caught a rainbow and brown trout in the 5″-6″ range and Jeff caught four brown trout in the 2″-3″ range. We saw a couple of massive river otters and some deer drinking in the river while we were fishing. I’m really loving fly fishing! It’s a challenge and just another way for me to enjoy the water. 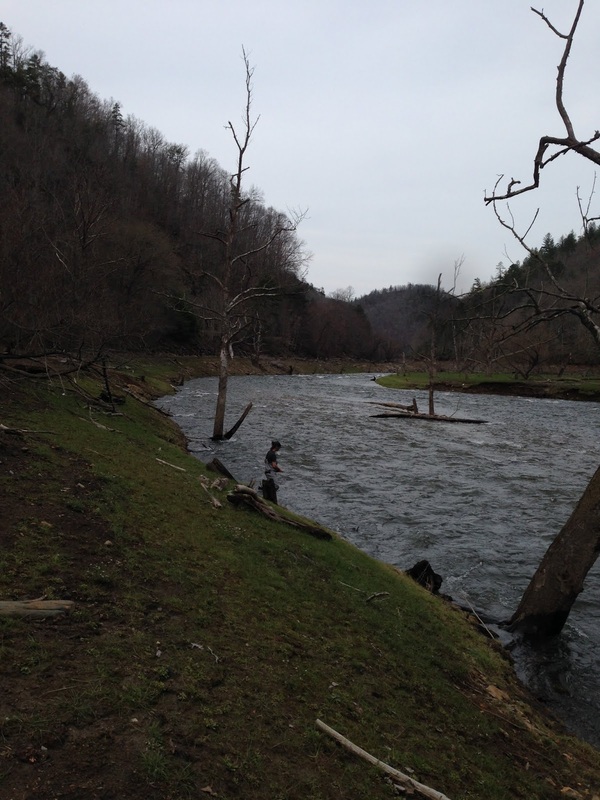 I’ll have another blog post about my fly fishing challneges at some point in the near future. You might be able to learn a thing or two about what not to do! Here’s some photos from our trip. We kind of slacked this past trip with photos so I apologize for the lack of them. Snowy first day of travel. Having some fun at the NOC Hole. Laya having a great time on the road. 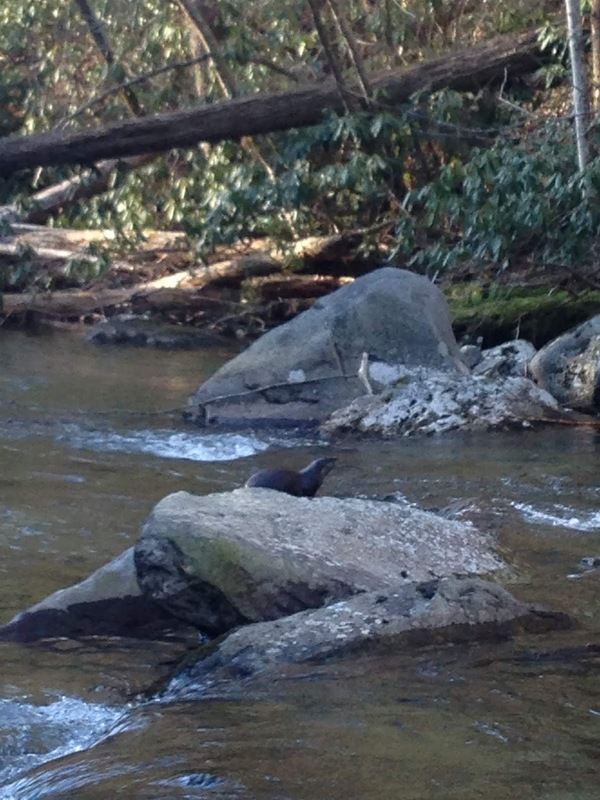 River Otter in the Great Smoky Mountains National Park. Caught this Brown Trout on a nymph set up. A couple of Deer came to the river to drink while we were fishing. The Pigeon Hole in TN gave up some big tricks and some beatdowns. 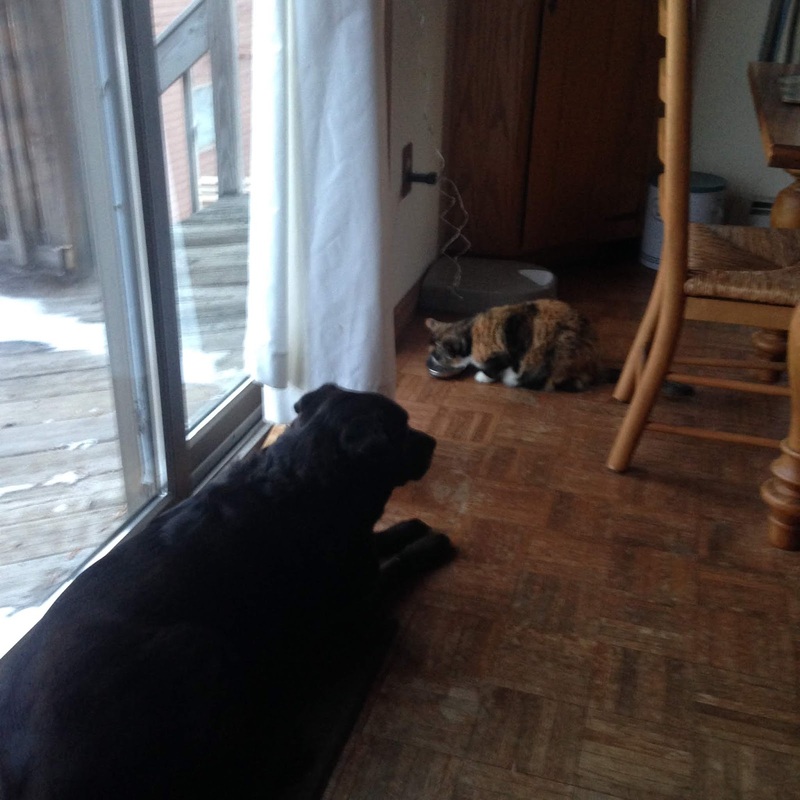 Brook and Laya happy to be back home. 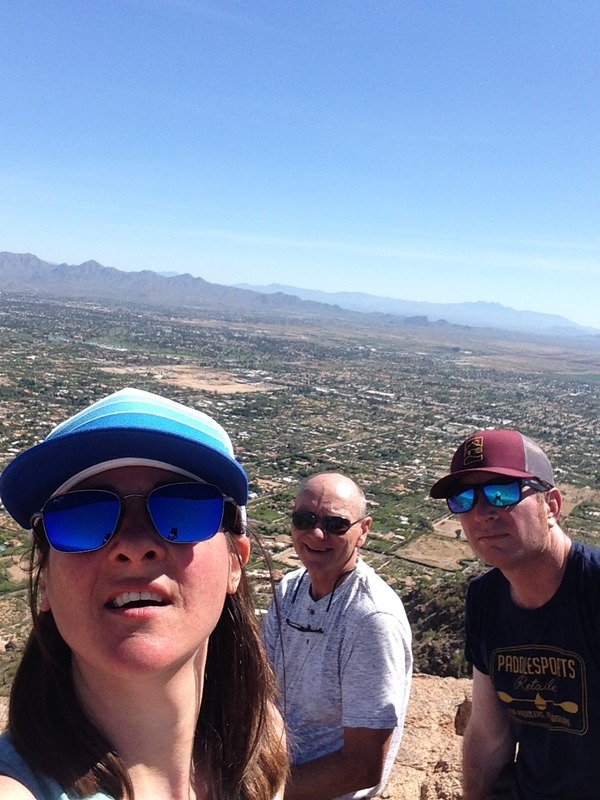 We were home for a few days and then flew to AZ for a work event with Jeff’s company and we spent a day with my uncle. It was nice to be hot and see the sun! The summit at Camelback Mountain. That’s that for now. We are home for a few weeks before I head up north to paddle in Canada with some friends. I’m hoping it gets warm!